Houseboat Roof Repairs - Any roofers, or any roofing company available? 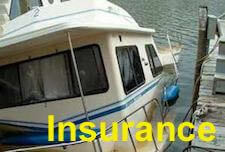 Any houseboat roof repair company's available? I need some houseboat roof repairs done, and looking for any roofers, or any roofing company available that does this? I have a 1993 Jamestowner houseboat 50 foot by 14. I am looking for someone that can redo the roof. The boat is located at Shelbyville, Il. Does anyone know where I can find someone in this area to redo my roof. There are no leaks, but I know it is time to address this issue before it does. Well Barb, welcome to the houseboat forums, and I am sorry to hear about your pending houseboat roof repairs. You can rest assured that you are not alone, and it can all be taken care of, just one day at a time. 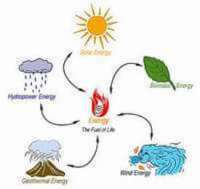 Hopefully someone reading this post, will be able to recommend you a roofer, or someone who can do roof repairs for you. 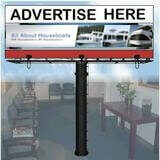 Lastly, hopefully some of our readers will share and post comments about their houseboat roof repair experiences. Feel free to use the "Click here to post comments." link found near the bottom of this page. 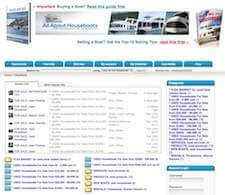 Comments for Houseboat Roof Repairs - Any roofers, or any roofing company available? I've wondered about roof repairs too. We have a 1998 Catamaran Cruiser Aquacruiser 48 and there is a leak coming from somewhere on the roof deck - the previous owner tried caulking the area they thought might be the problem to no avail. My husband caulked that area and another and the leak appears to have stopped but we think it just slowed down and is still getting the ceiling tiles wet but not enough to come through into the cabin. There are hairline cracks all over the top deck. We would like to coat the top deck in something this spring to seal it. We were told by a neighbor at the marina that the original owner used to coat it every year (the boat has always been at our marina, just changed owners - we're the fourth). 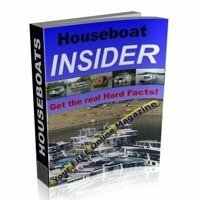 We don't want to get just any product, and unfortunately there isn't a lot of well informed handymen in our area who know much about houseboats even though we have a huge lake... most are into outboards like bass boats and speedboats. Even the marinas are no help including the ones that rent houseboats! Also our boat has a useless flybridge - it's just the fiberglass piece, the boat was never built to be driven from the top. The original owner had her customized and wanted the look of the flybridge without the mechanics. We personally think there may be a leak under the flybridge piece itself and are thinking of pulling it off and replacing with a railing when we seal it. But of course the stanchions for the railings tend to leak also over time... any tips on how to seal them as well? Have you ever considered adding more videos to your blog posts to keep the readers more entertained? I mean I just read through the entire article of yours and it was quite good but since I'm more of a visual learner,I found that to be more helpful, well, let me know how it turns out! I love what you guys are always up too. Such clever work and reporting! Keep up the great works, I've added you guys to my blogroll. This is a great article and thanks for sharing this informative information..
You can try an RV Dealership as they are able to fix up motor home roofs. I am sure you will find help there. "Great Boating"
Hello Barb, your Lake Shelbyville is where I bought my Crest houseboat. There is a guy at Lithia Springs Marina named Larry. I don't have his last name but I believe there is only one Larry there. He is the kind of "go-to" guy there, and if you contact him, I am sure he can point you in the direction of a local roofer that has experience in houseboats. Good luck, and safe boating. 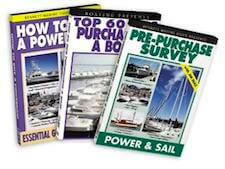 Please visit our website, www.skipperlinerowners.com and see what we have posted about our own houseboat roof repairs.